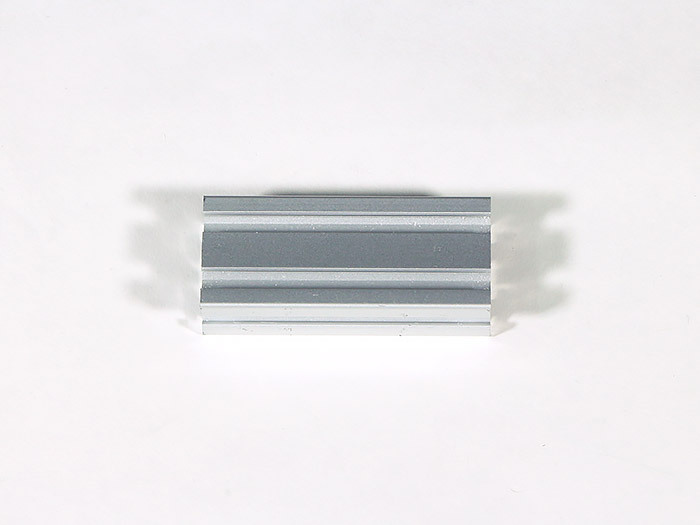 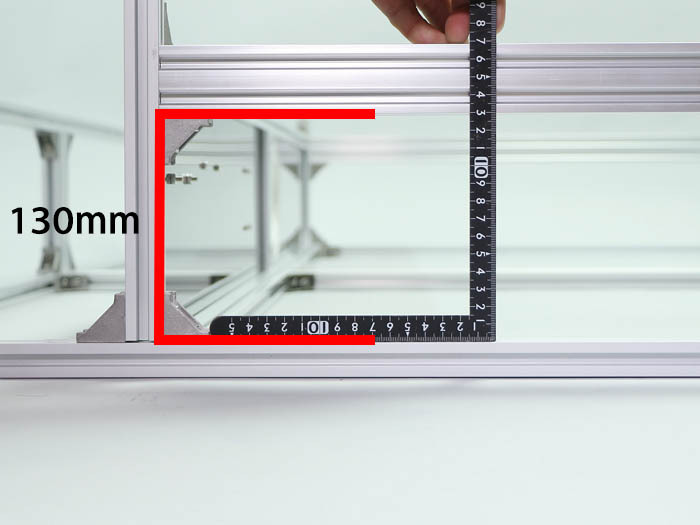 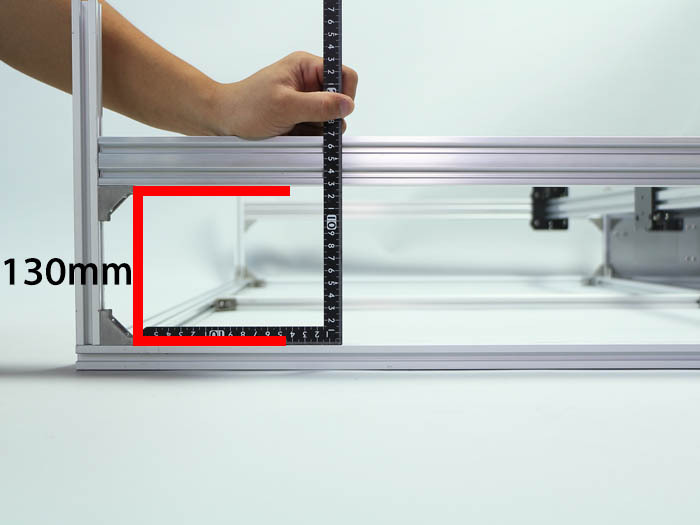 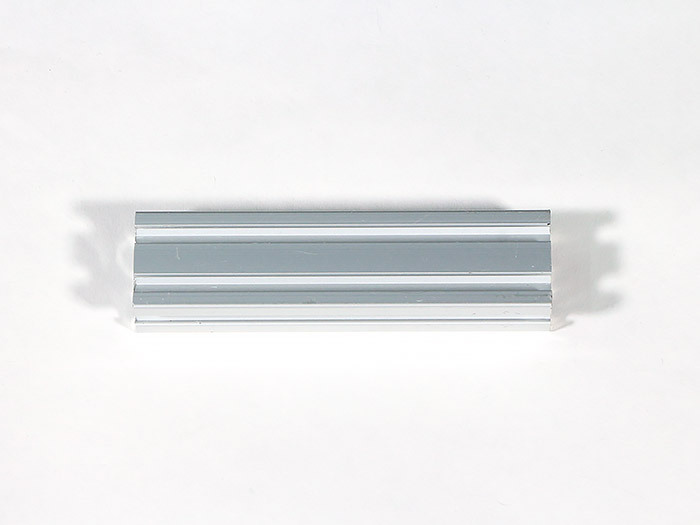 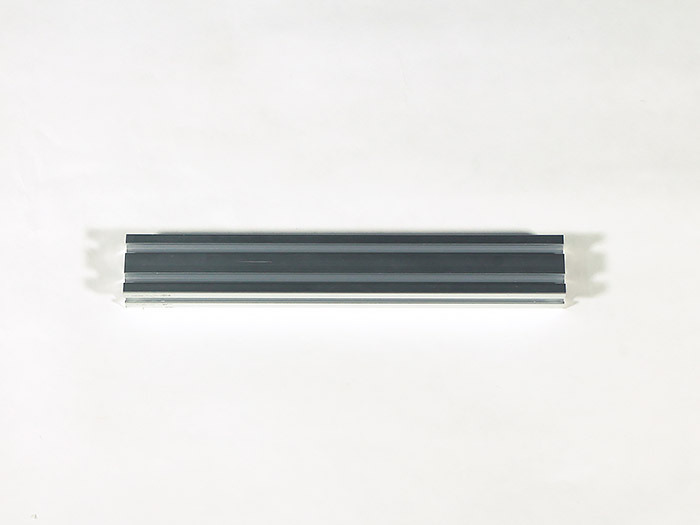 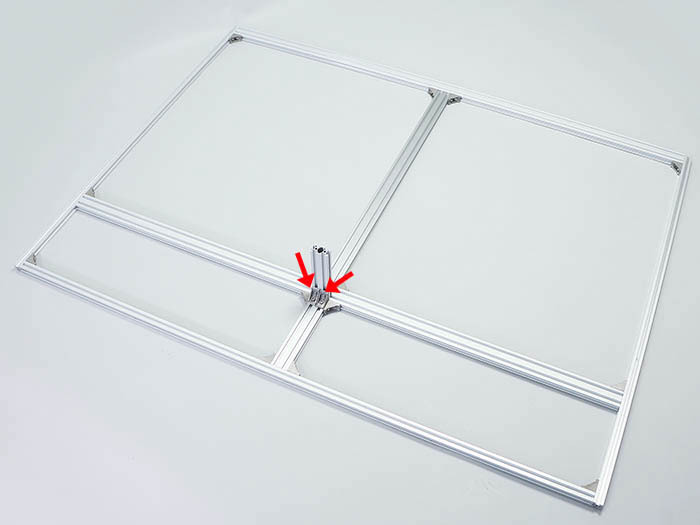 Install  150mm Aluminum Frame 20*40mm by 4  M5 post-in nuts, 4  M5x8hex socket head cap screws and 2  right-angle brackets. 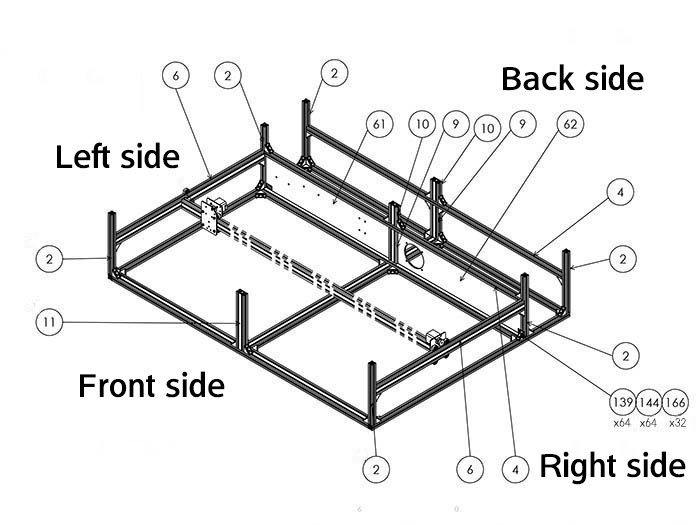 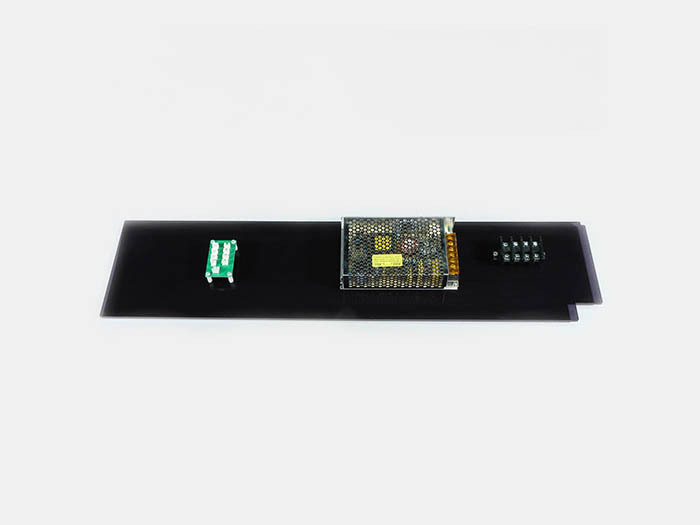 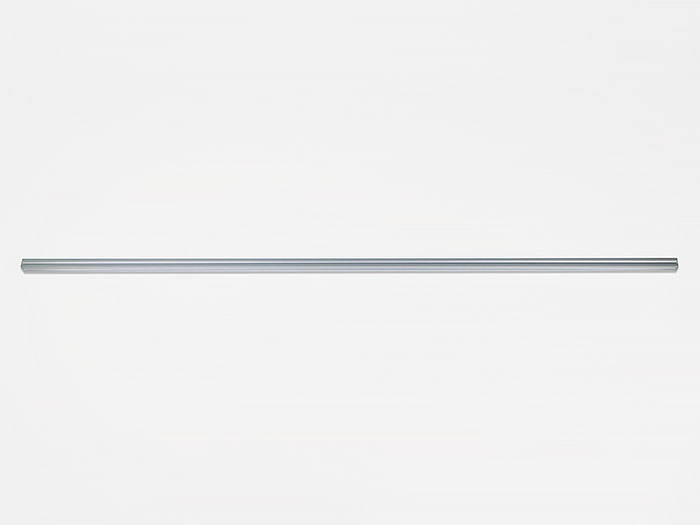 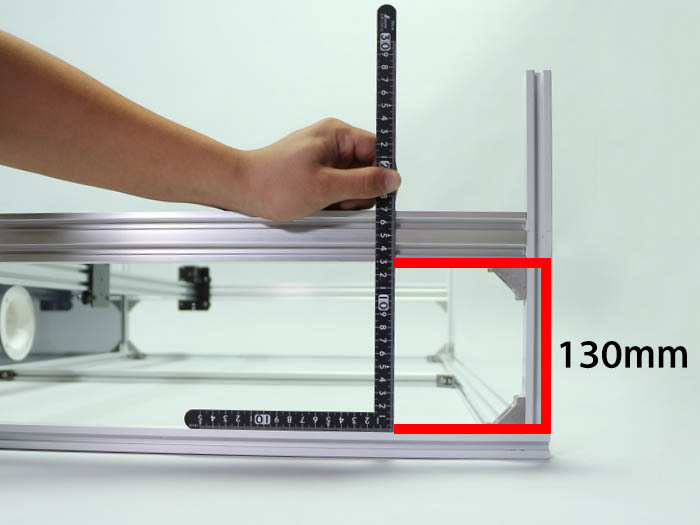 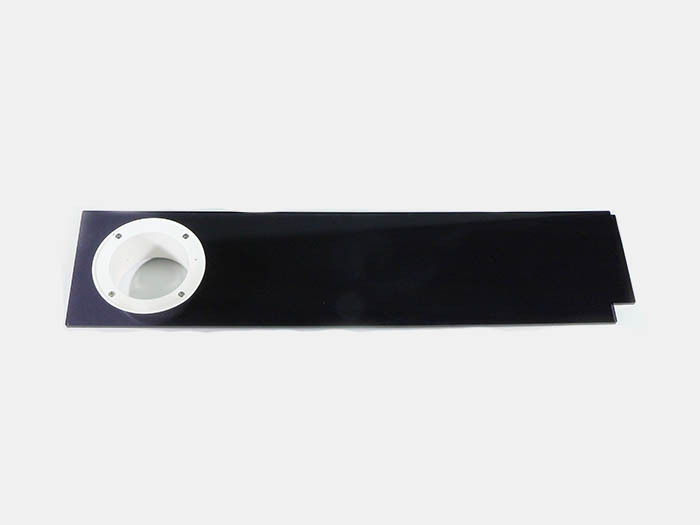 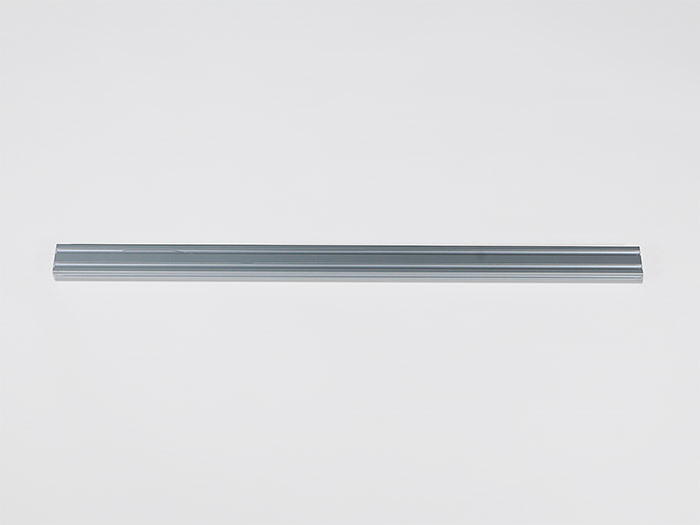 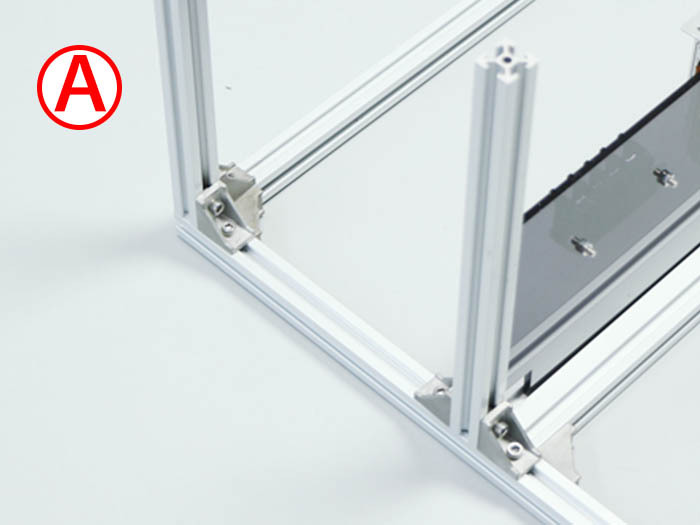 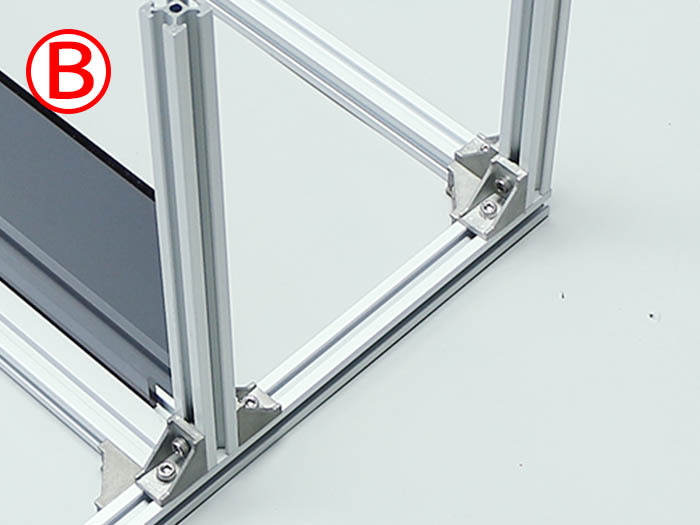 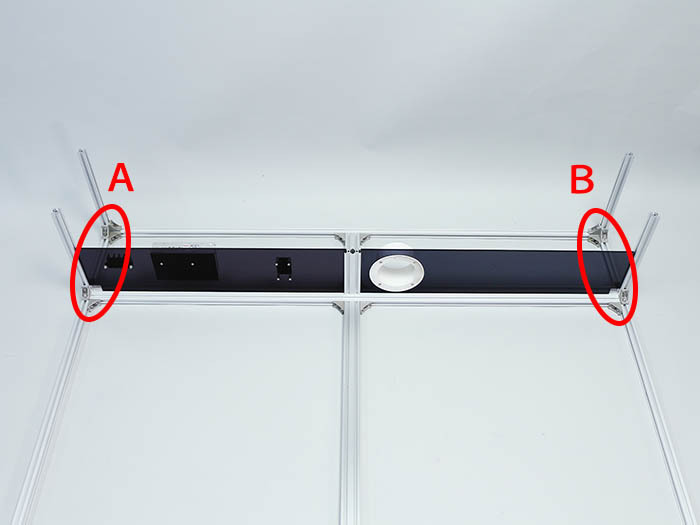 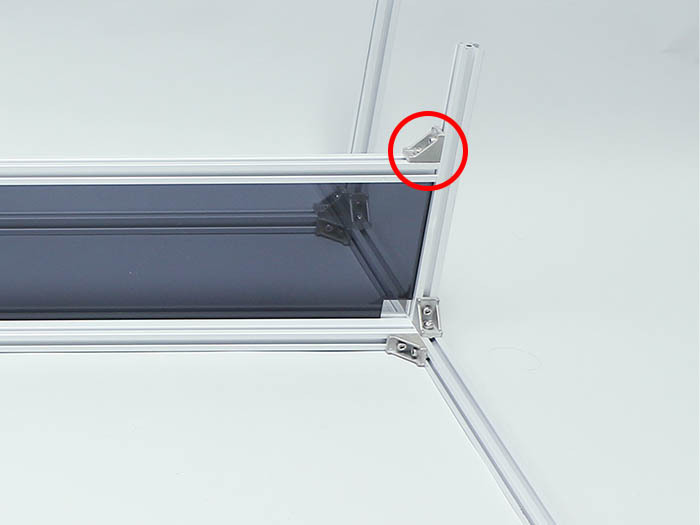 Fit  Inner left and  Inner right assembled in "Inner acrylic equipment installation" into  1360mm Aluminum Frame 20*40mm. 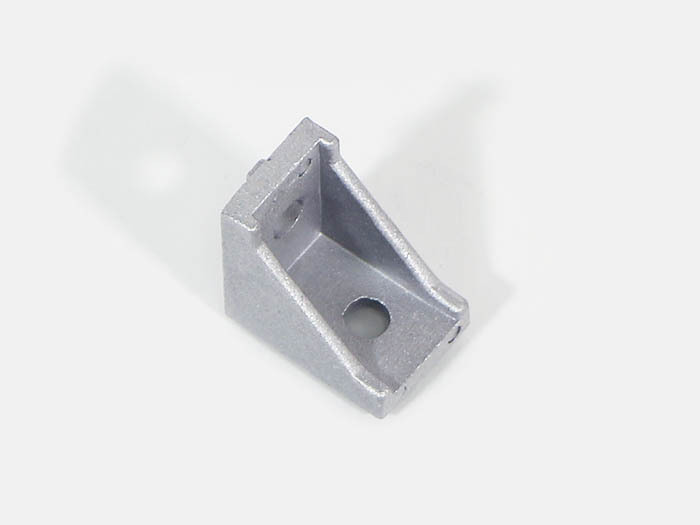 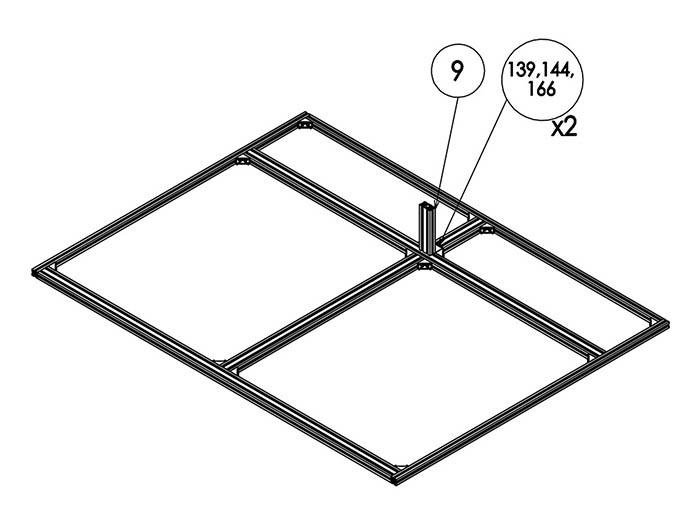 Install  280mm Aluminum Frame 20*20mmby 16  M5post-in nuts, 16  M5x8hex socket head cap screws and 8  right-angle brackets. 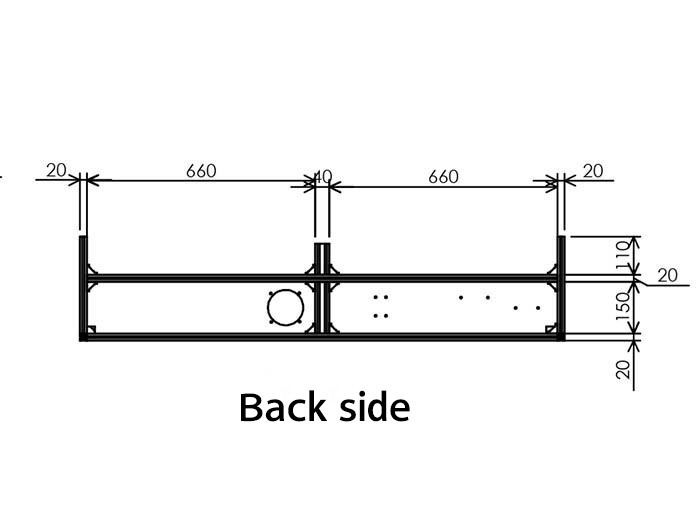 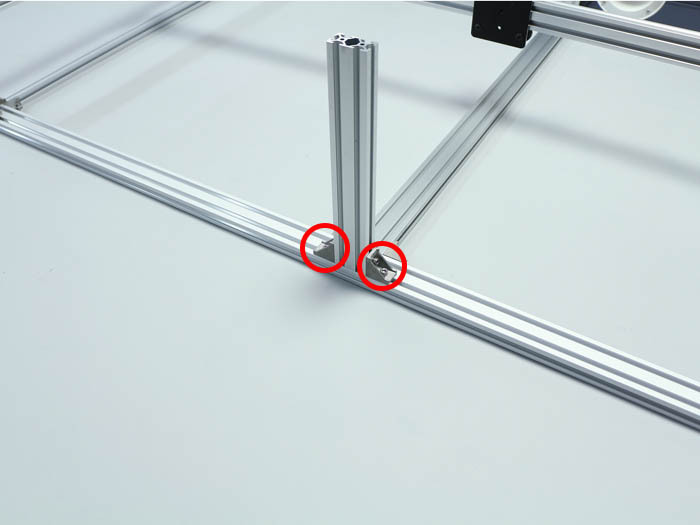 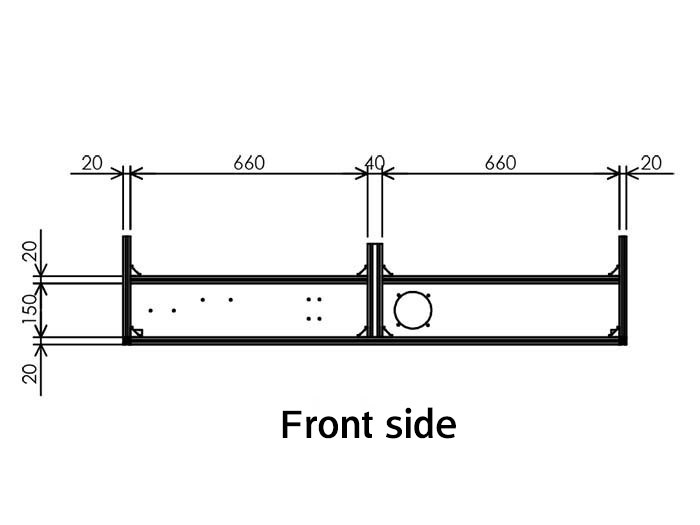 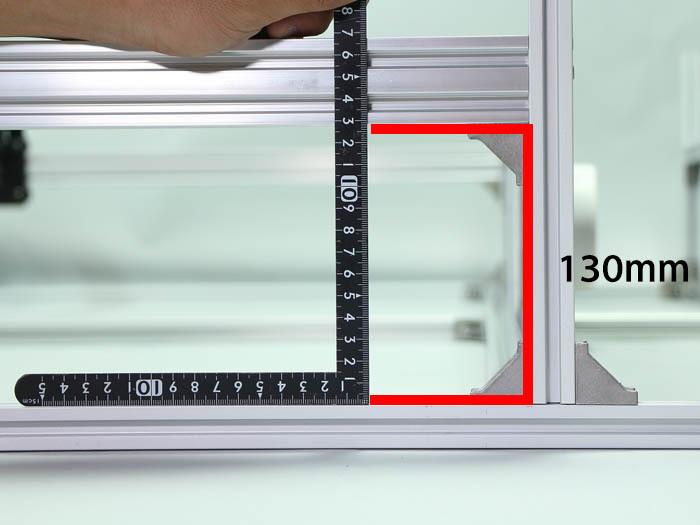 Install  1360mm Aluminum Frame 20*20mm by 4  M5 post-in nuts, 4  M5x8hex socket head cap screws and 2  right-angle brackets. 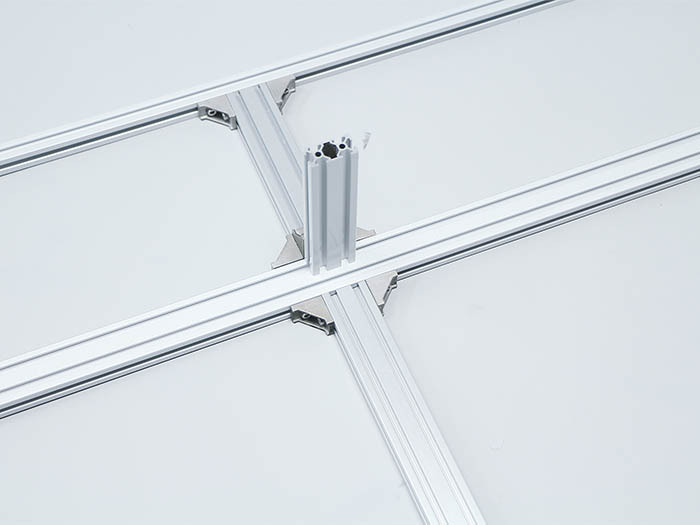 Install  150mm Aluminum Frame 20*40mm by 4  M5 post-in nuts, 4  M5x8 hex socket head cap screws and 2  right-angle brackets. 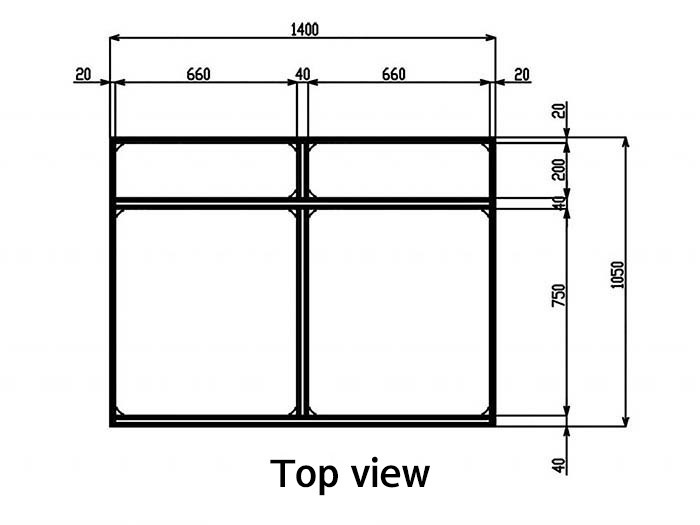 Install  1360mm Aluminum Frame 20*20mmby 8  M5 post-in nuts, 8  M5x8 hex socket head cap screws and 4  right-angle brackets. 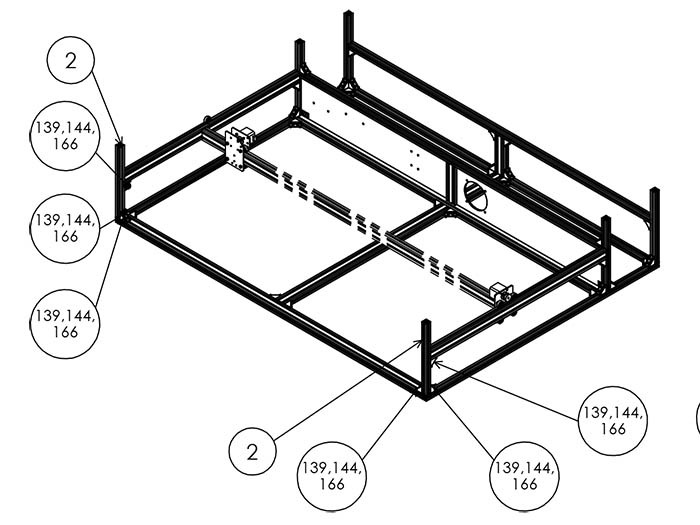 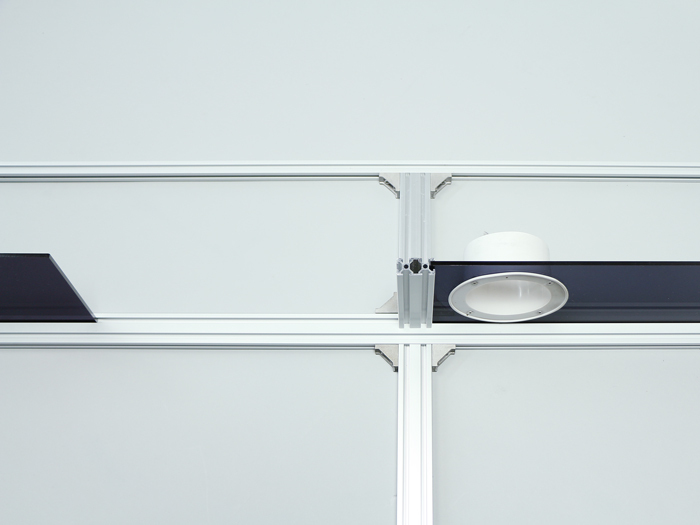 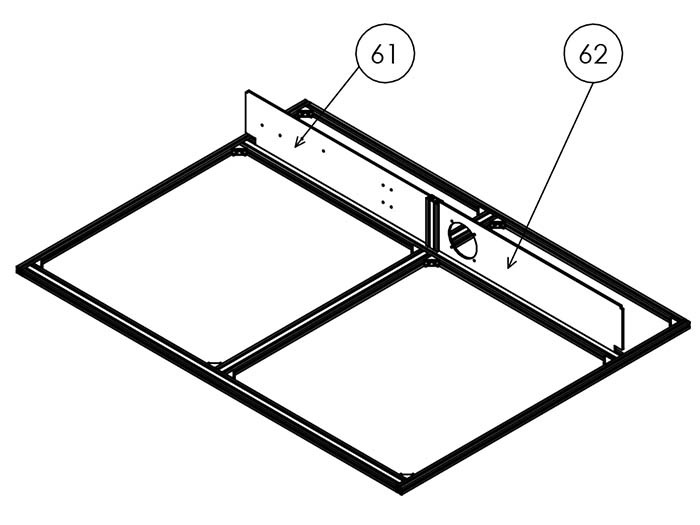 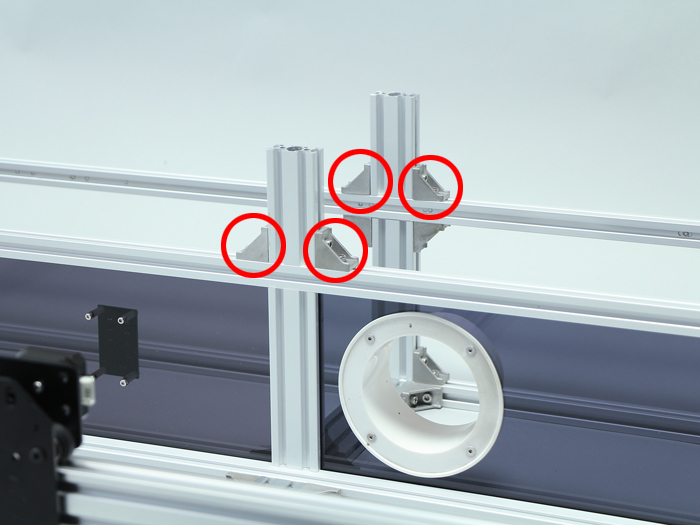 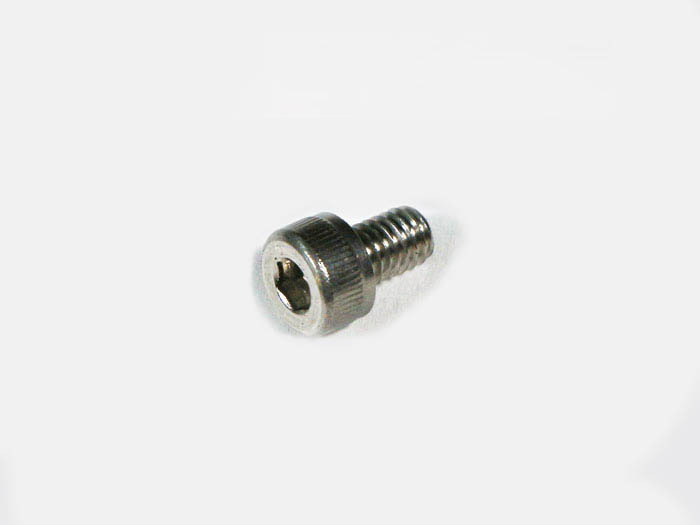 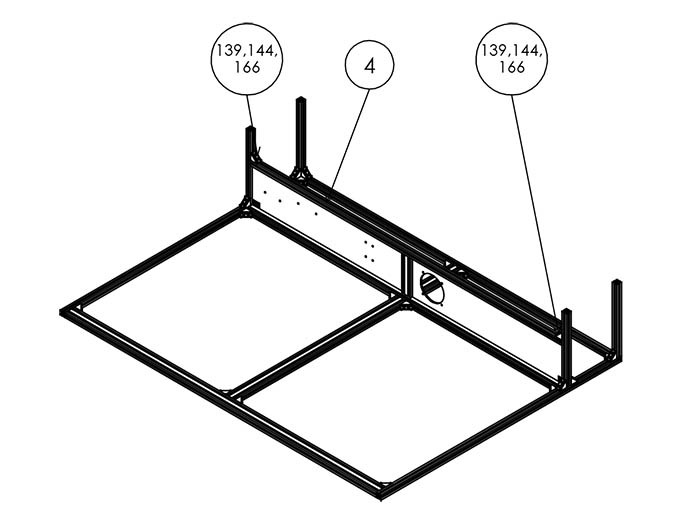 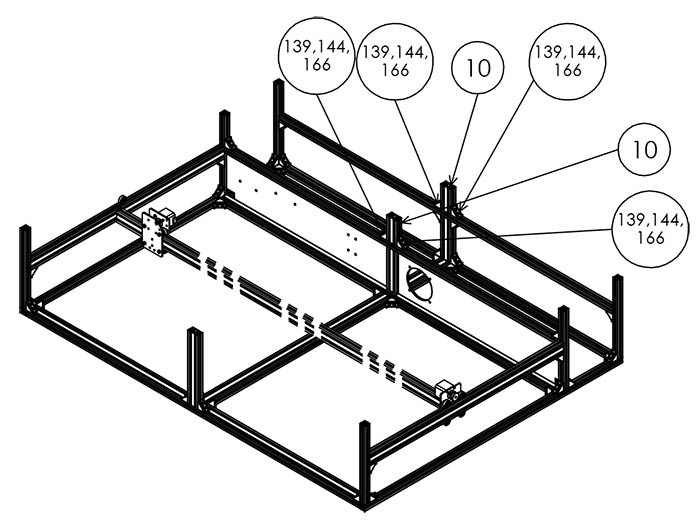 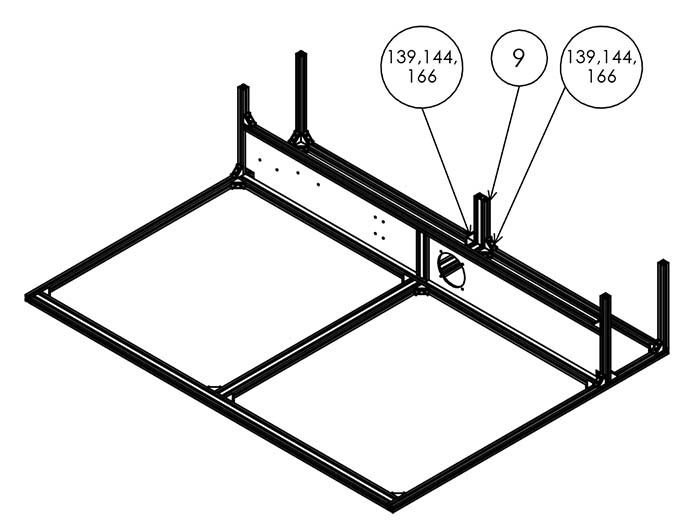 Install 2  V-slot 790mm by 4  M5 post-in nuts, 4  M5x8 hex socket head cap screws and 2  right-angle brackets. 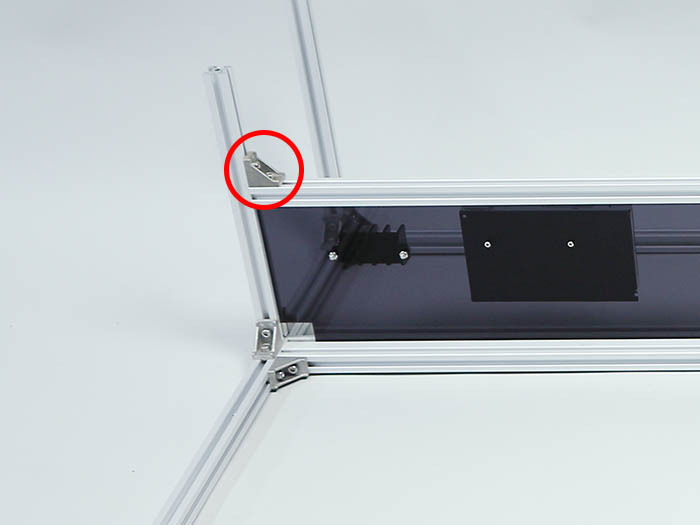 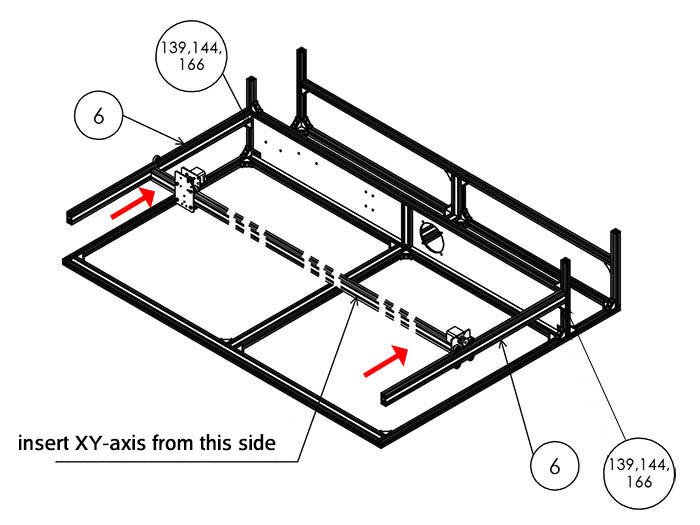 Put assembled in "XY axis unit assembly" through  V-slot 790mm after installation. 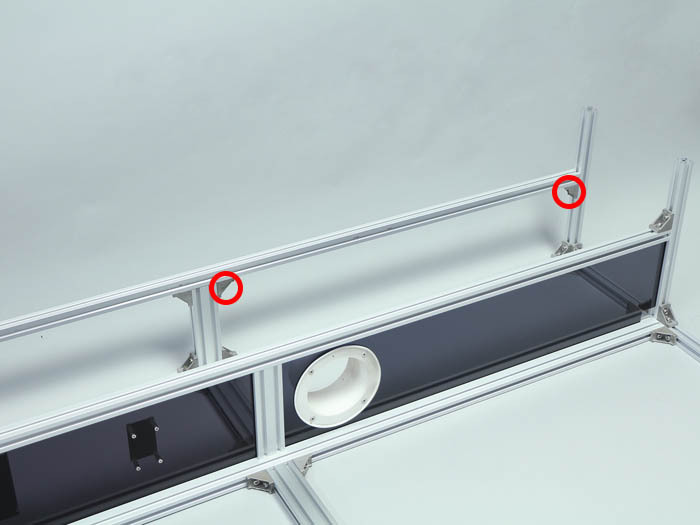 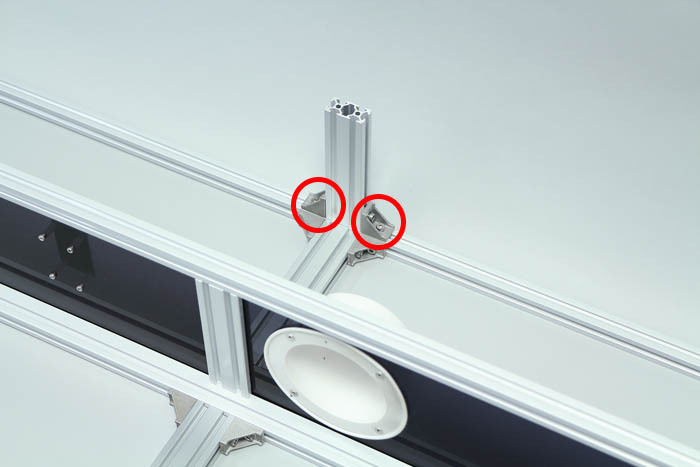 Install 2  280mm Aluminum Frame 20*20mm by 12  M5 post-in nuts, 12  M5x8 hex socket head cap screws and 6  right-angle brackets. 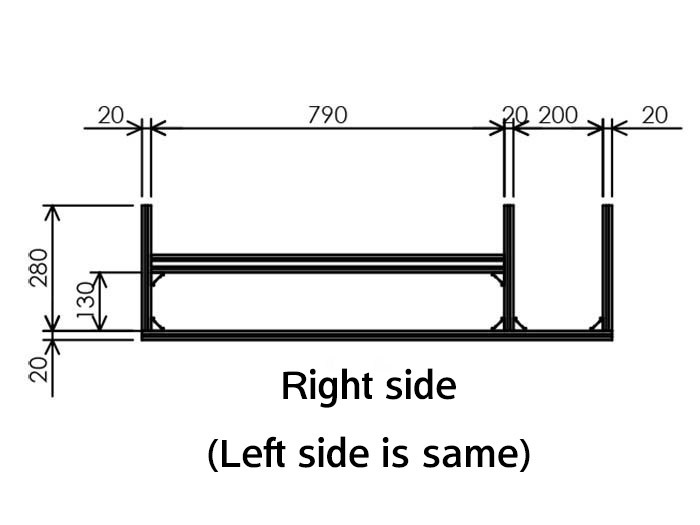 Please confirm whether horizontal and left and right  V-slot 790mm can be installed or not in concurrent way by 130 mm between V-slot 790mmand the lower part of main body frame. 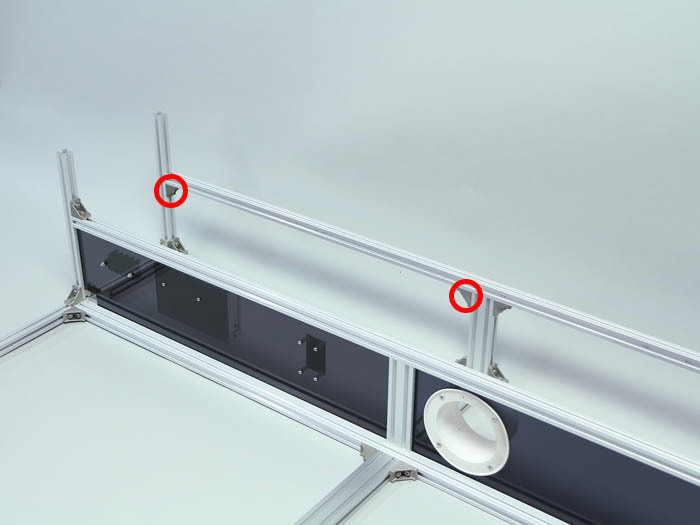 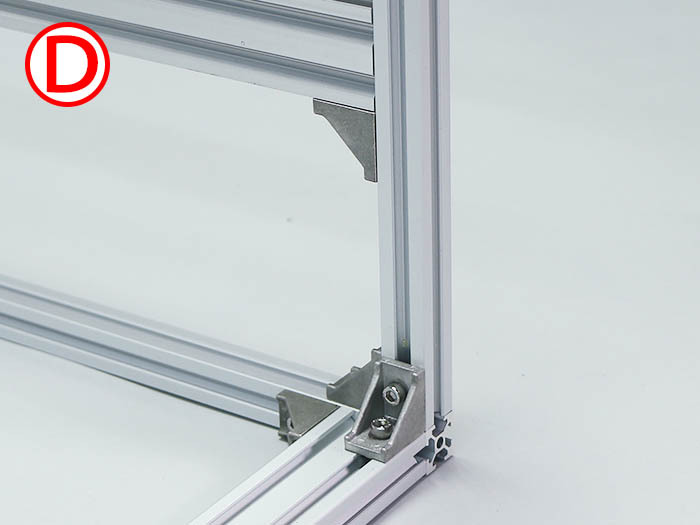 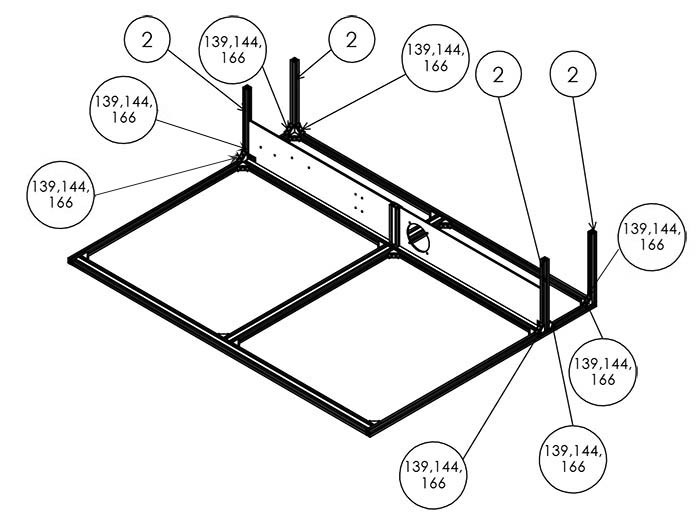 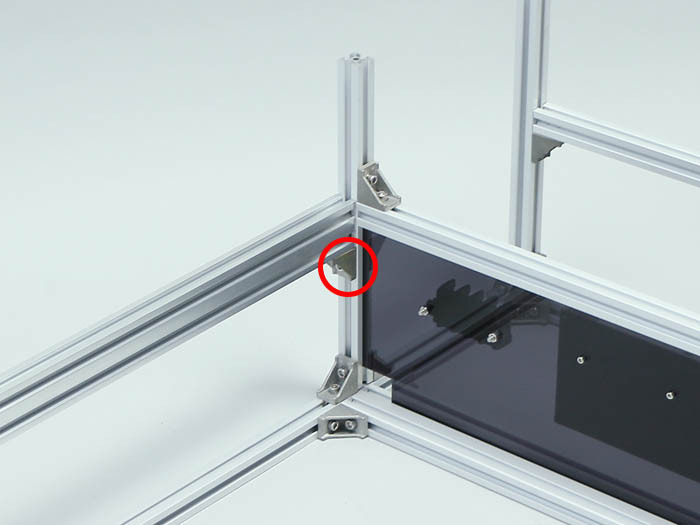 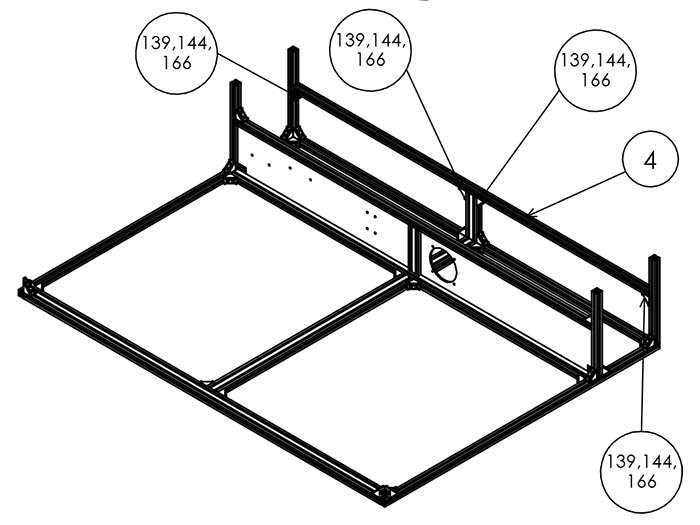 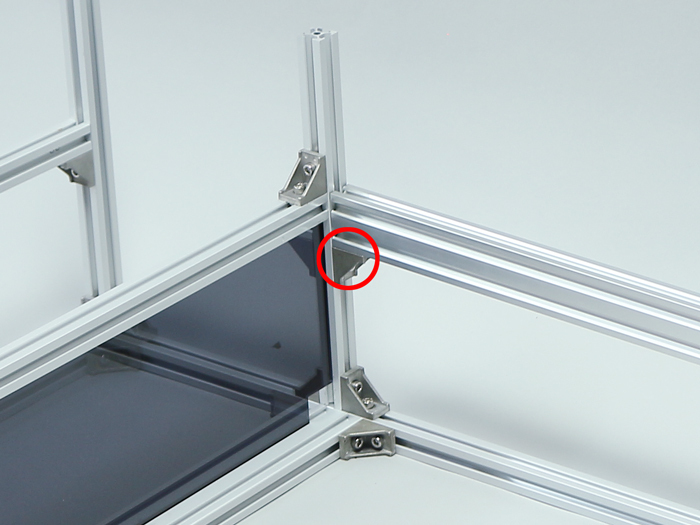 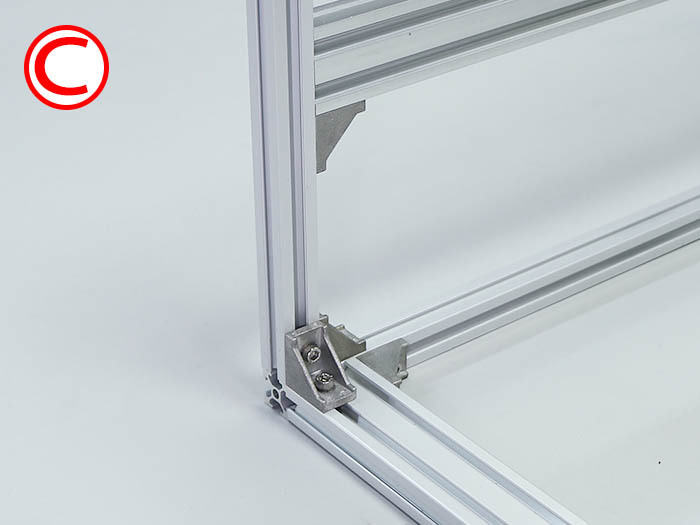 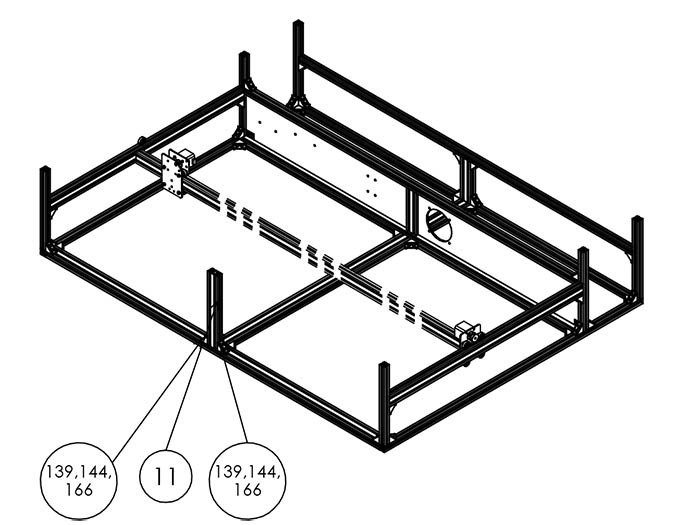 Install  260mm Aluminum Frame 20*40mm by 4  M5 post-in nuts, 4  M5x8 hex socket head cap screws and 2  right-angle brackets. 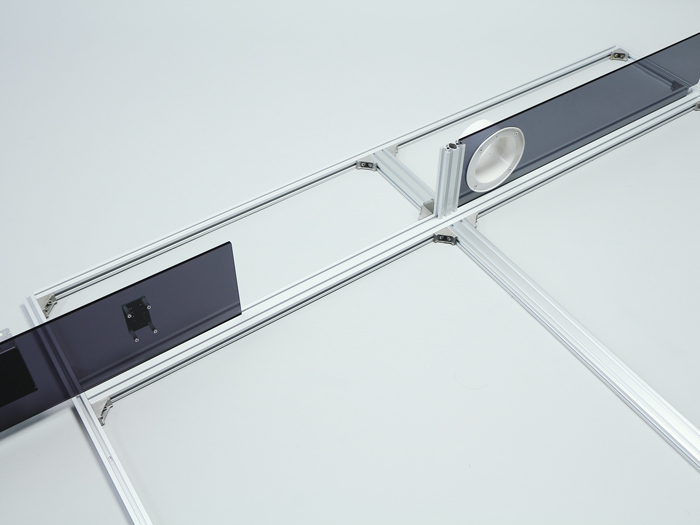 Install 2  90mm Aluminum Frame 20*40mm by 8  M5 post-in nuts, 8  M5x8 hex socket head cap screws and 4  right-angle brackets.